When it comes to Christmas we all have our own traditions, things we like to do and things that really make it Christmas for us. For me Christmas isn’t aloud to start until I have seen the iconic Coca-Cola advert on TV. Ever since I was little I would wait eagerly till I saw that advert and then get super excited as I new it was nearly Christmas time! What’s that little story got to do with a lush lip scrub? Well the Santa baby lip scrub is I fact cola scented and seeing as it is always released over the Christmas period, I find that it is a product that floods me with happy memories and always reminds me of that good old cola advert. I am really loving the Lush Lip scrubs at the moment. They are such a handy product to own and come in really helpful over the winter months. Did you know that your lips don’t create their own moisture? So over the winter months it’s always good to give them a little extra TLC. The lip scrub is really easy to use all you need to do is take a small amount on your finger and use it to buff away any dry skin. The Santa baby lip scrub contains a whole host of moisturising ingredients leaving you with super soft lips after use. 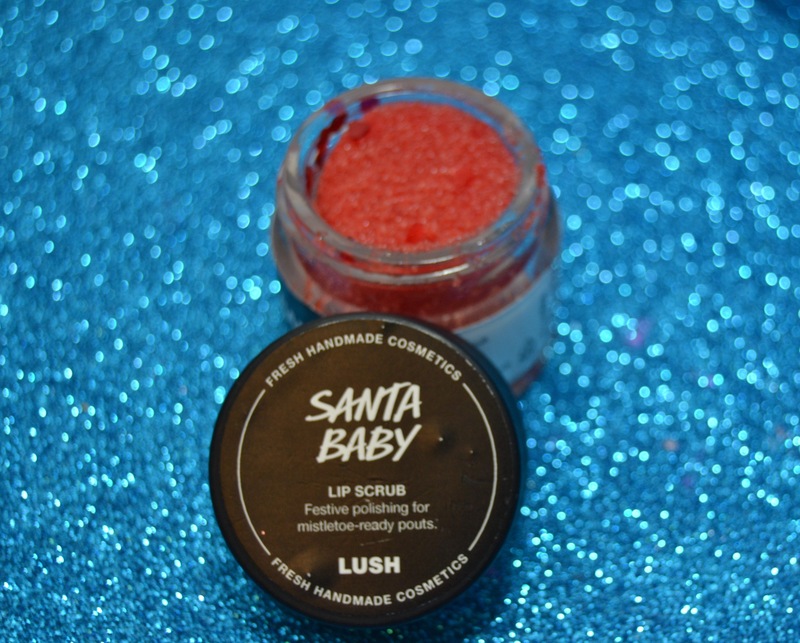 The Santa Baby lip scrub is very sweet and as mentioned earlier is cola flavour and scented. The main ingredients used is caster sugar meaning you can actually lick it off your lips after use and it tastes yummy. Overall I can’t recommend this lip scrub enough! It works amazingly and the scent it incredible! If you haven’t tried a lip scrub before I highly recommend that you try this one while it is still around. INGREDIENTS: Caster sugar, Extract of Cherries and Dates in Organic Jojoba Oil, coconut milk powder, Persian lime oil, aniseed oil, black pepper oil, benzoin resinoid, glycerine, citral, geraniol, linalool, flavour, red edible heart.